According to reports from Automobile magazine, the German auto giant Audi is working on a high-roof, MPV-style model based on its next-gen A4. With the Superavant, Audi aims at the market segment who desire a higher ride with family built quality, and hence it will be built on a more affordable platform. Over a decade ago, Audi announced the possibility of the A8 Avantissimo concept coming in production, and this product could be what the German auto giant described. It has all the features of an SUV without the aggressive and tough appeal. However, it will be larger than the A4 Avant with high roofline and extended wheelbase. For the purpose of the unique MPV minivan crossover design, Audi is in talks with the subsidiary Volkswagen, who recently acquired Italdesign studio. 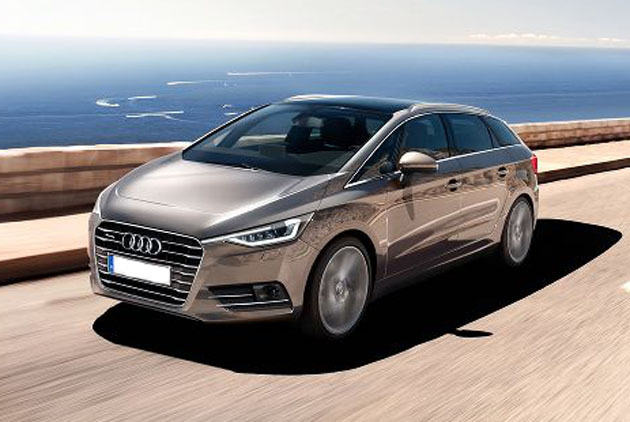 Coming from the Audi A4 family, the Superavant could be sharing the platform with Audi A6 on the Modular Longitudinal System (MLB) architecture. Audi also confirms that it will feature the same sporty styling and driving characteristics as its smaller cousins. It will also sport higher ride height than the A4 Avant together with three row seating and a flexible luggage area. While on the outside it has high roof with four, full-size doors and a wider nose & gaping grille. Power comes from a variety of forced-induction powerplants including 2.0-litre four-cylinder petrol that pumps out 255 hp power and a 2.0-litre four-cylinder diesel that develops 197 hp. We also expect Audi to give an optional hybrid drive with rear-wheel-drive electric motor rated 136 hp. Expect the new A4 Superavant may make a debut in concept form by the end of 2014 with a production model following in 2016. When launched, it will go up against the BMW 3-Series & 5-Series, and Mercedes-Benz R-Class.